Hey guys, hope that everything is going great. 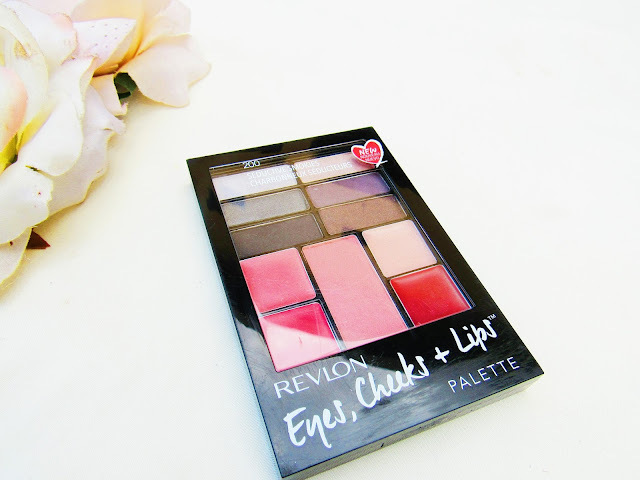 I saw the Revlon Eyes, Cheeks and Lips Palette - price R219 on the site Takealot.com some time back in January and I had to get it because you know Revlon is one of my favorite brands and the palette seemed affordable for what it had to offer (Eyes - Eyeshadows, Cheeks - Blush and Lips - Lipgloss and Lipstick). 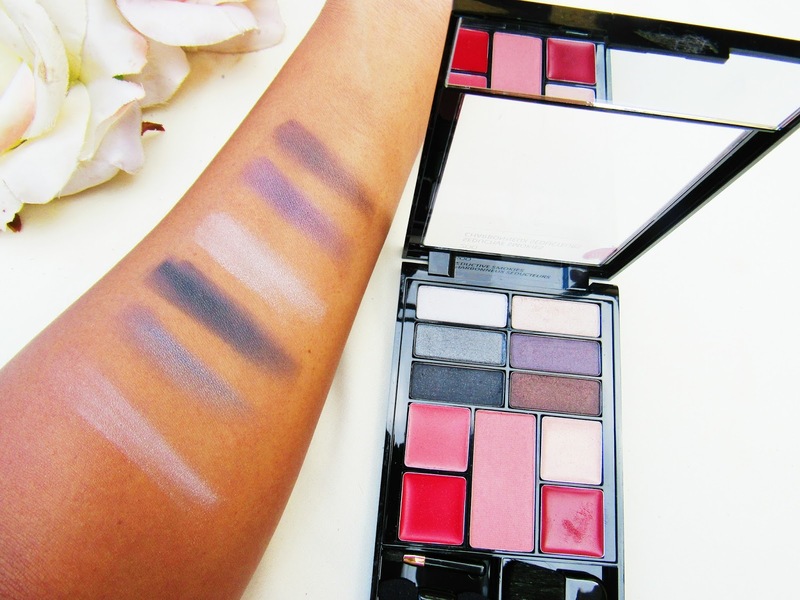 I bought Seductive Smokies but the palette also comes in Berry In Love and Romantic Nudes. 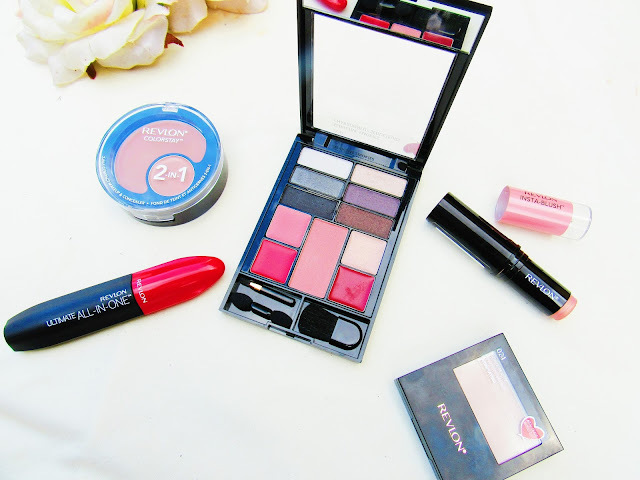 Revlon says "Create countless makeup looks with just one palette. Universally flattering shades of our best selling eyeshadow, blush and lipcolor. Available in 3 expertly coordinated shades". The palette comes in a black casing, online it did look a bit bigger I don't wanna lie, but then again it is not small either. The top 6 pods are eyeshadows, left shades lipstick, centre-blush and right lipgloss, the extras are a mirror blush brush, lipbrush and eyeshadow brushes. I like that the lid is transparent and you can see inside the palette. As mentioned I thought that the palette was a bit bigger, then again how big cause it is not that small either (LOL) hope you get me here. The Seductive Smokies palette is just that a palette to create seductive smokie eyes, the shadows have minimal fallout and have great pigmentation. The blush is not highly pigmented and for a girl like me who loves blushes I would have loved for it be a tad bit more pigmented however I like that the blush is on the matte side of things. If you are familiar with the super lustrous formula from Revlon then these lipsticks are for you as they are full of color and have a good lasting power, Revlon did a great job with picking up the lipstick shades as they go really well with smokie eyes. Overall, for the price you get the most value as you get 6 eyeshadows, a blush, 2 lipglosses and 2 lipsticks. 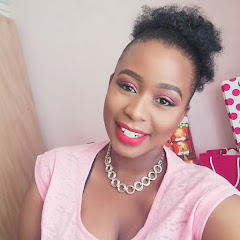 I will say before purchasing the palette I Googled it and mixed reviews on it came out, for me I'm happy as I can create more than just one look from the palette and that all I ask for really, a product I can use time and time again. I hope that you do enjoy it. And please don't forget to subscribe (",). loved the post and the video!! !